VMDK is a file extension for virtual disk image files that are created by VMware products, such as VMware Workstation, VMware ESXi and other third-party tools. It is mostly used for cloud computing services and virtualization. A VMDK file contains all the info of a virtual machine. Usually, non-virtualized machines can only access individual system files and components, but a virtual disk file contains all the necessary information on a single disk, which enables it for independent operations. 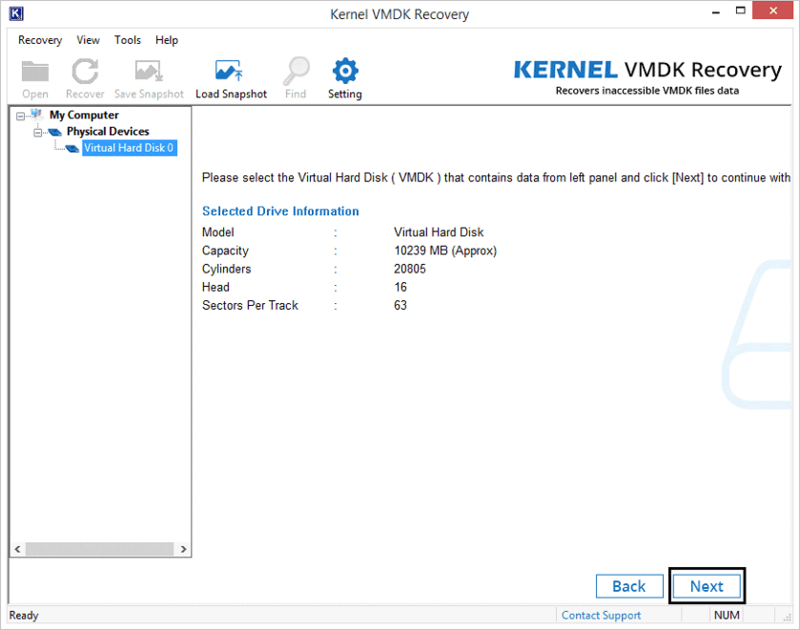 However, it is recorded that many times when users want to access their VMDK file data, the virtual machine often stop working or doesn’t open VMDK file. There can be two possibilities behind this problem, either the VM is not compatible with your system or the VMDK file is corrupt. 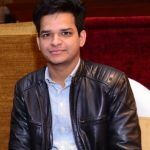 In most cases, it is found that the VMDK file gets corrupt and stop the VM machine to power on. So, let’s find out how a VMDK file gets corrupt, and how we can open a corrupt VMDK file. There can be several reasons for VMDK corruption. Here are the most noted reasons. In such cases, it becomes almost impossible to access the VMDK files. 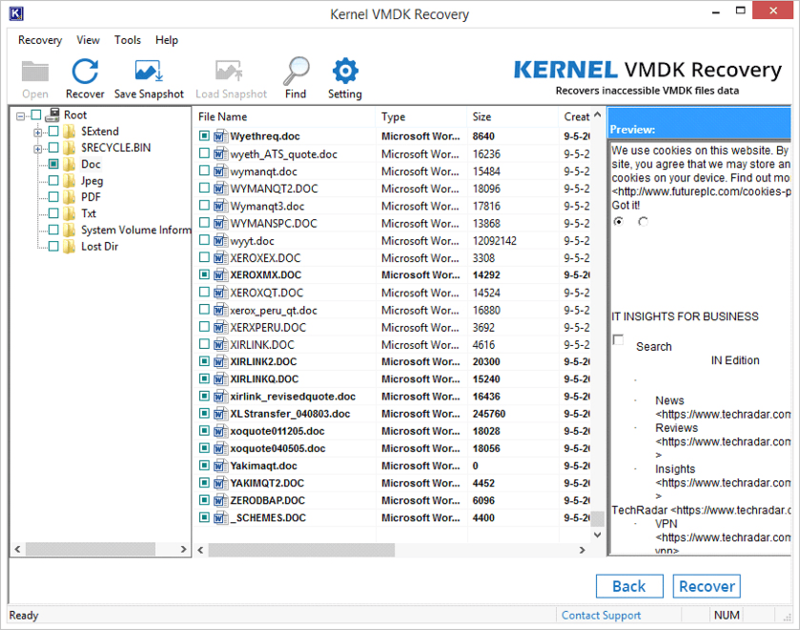 Also, the manual methods such as using PowerISO or VMDK command prompt are not good enough to recover the whole data of VMDK files. So, you need a reliable tool that can help your repair and view entire data of corrupt VMDK files. To better understand this tool, let’s have a look at the working process of this software. 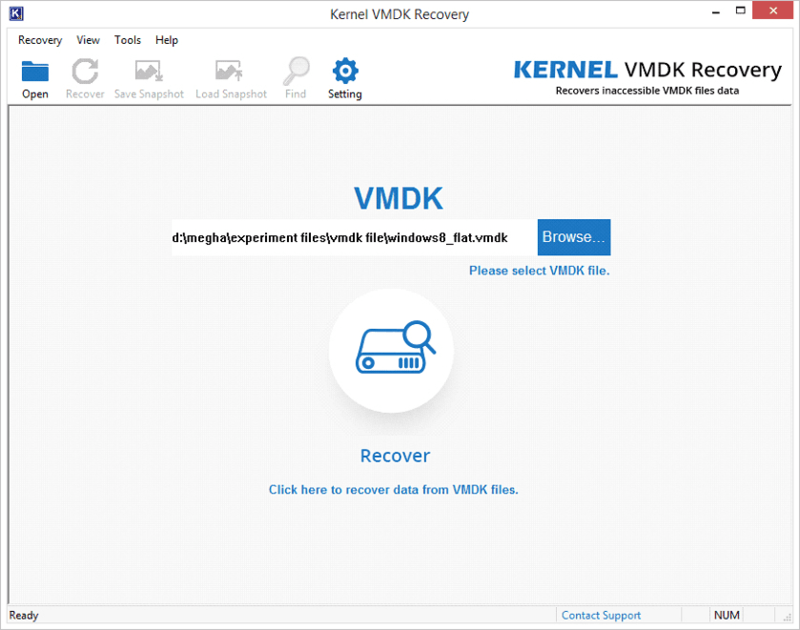 Follow the below steps to preview VMDK files with Kernel VMDK Recovery. After launching the tool, click the Browse button to select the desired VMDK file. Select the VMDK file from your local system and click Open. 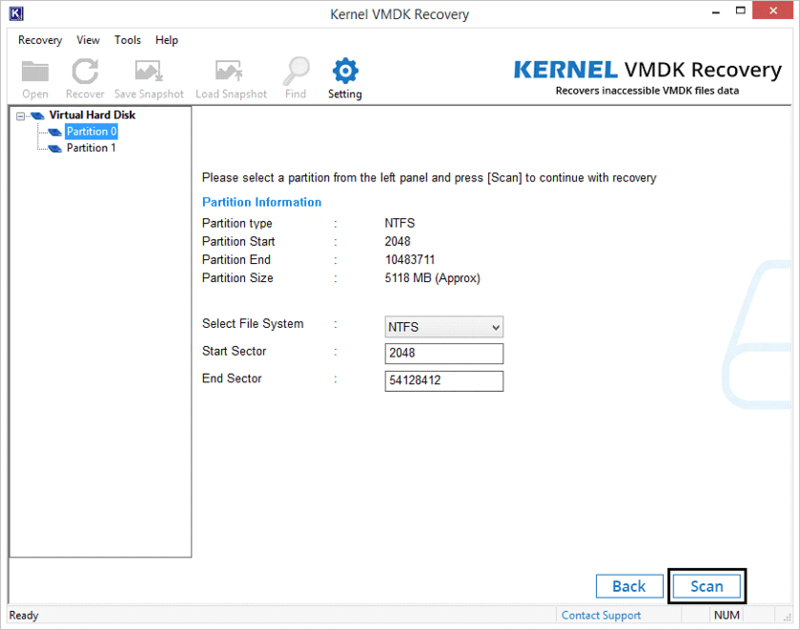 After selecting the VMDK file, click the Recover button to repair the corrupt VMDK file. The entire description of the VMDK file, such as Model, Capacity, Head Sectors Per Track, etc. will be displayed on the tool screen. Select the drive that you want to open and preview and click Next. Select an option from the following partition types and click OK. Select the partition for recovery, file system, provide the Start Sector and End Sector and click Scan. 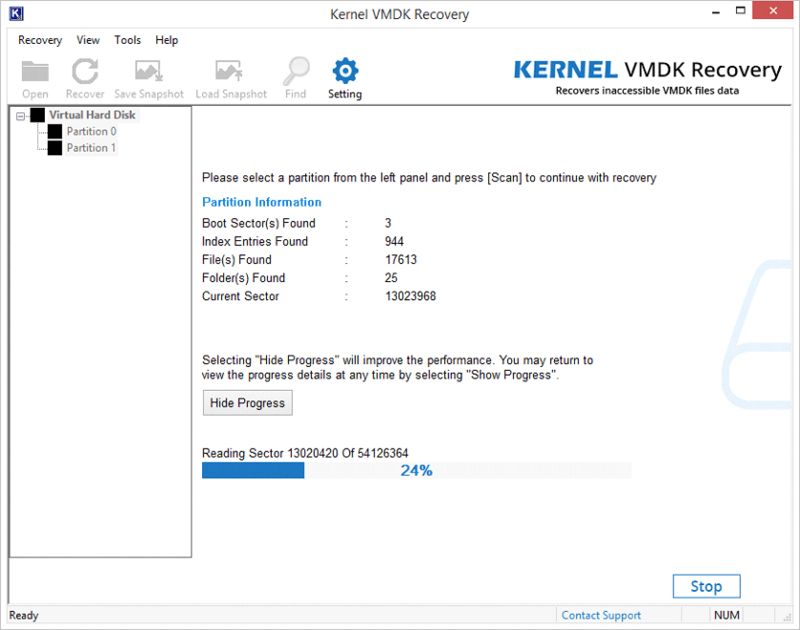 You can view the scanning process of the tool to repair the corrupt VMDK file. You can click Hide Progress to improve the scanning process. Once the scanning is complete, select the desired file system for preview and click Next. The entire data of the selected file system will be displayed on the screen. Select any folder or file to preview its content. Note: You can also use the Find option to search for any specific file in the file system. 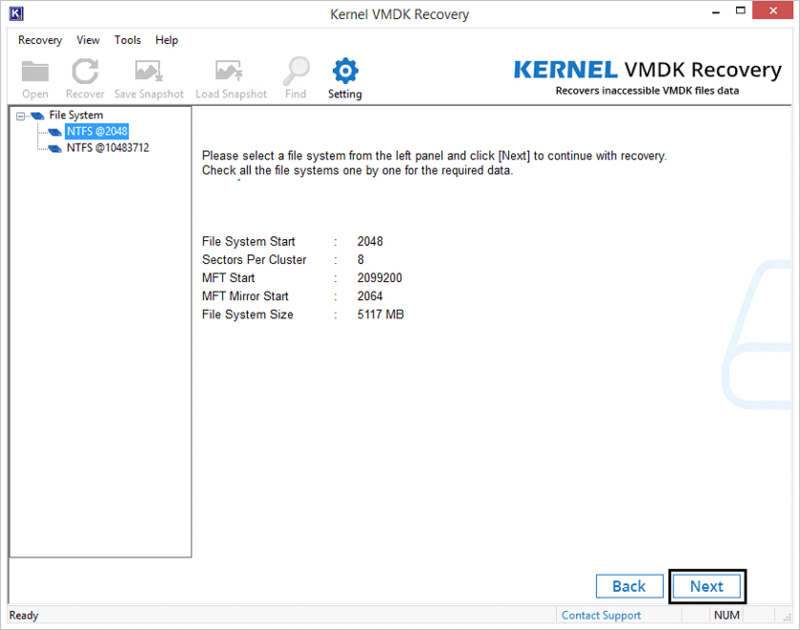 This is one of the easiest methods to repair and preview the entire data of any VMDK file. 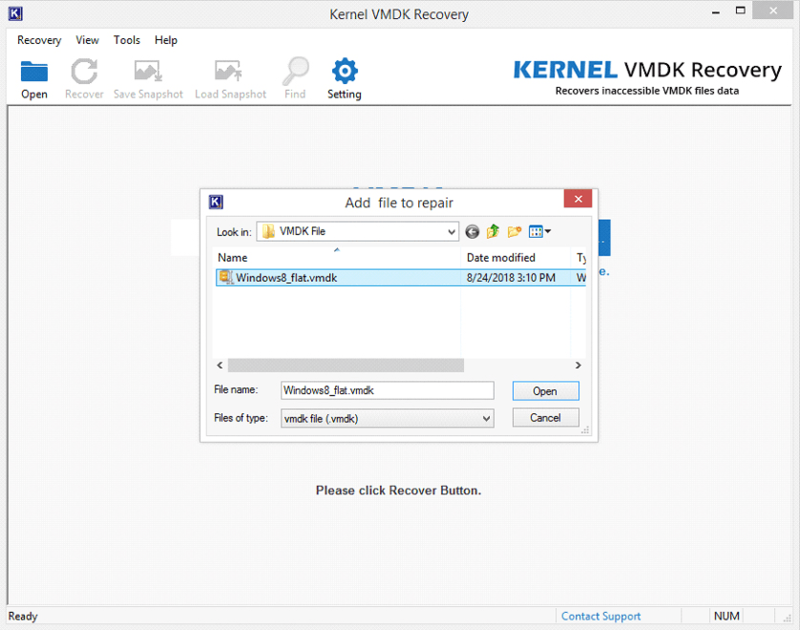 Kernel VMDK Recovery allows you only to repair and previews the VMDK file. 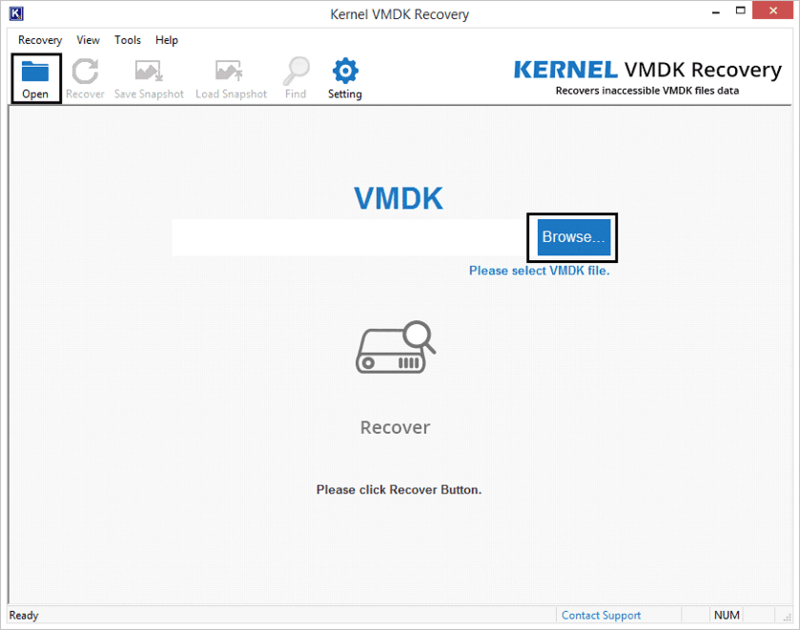 But, if you want to save the recovered file on your system, then prefer upgrading the software to Kernel VMDK Recovery that allows you to save the recovered file. VMDK file is very crucial for the organizations that use VMware workstations or products. This file contains the entire data of a file system. If this file gets corrupt, you can be in a big problem. 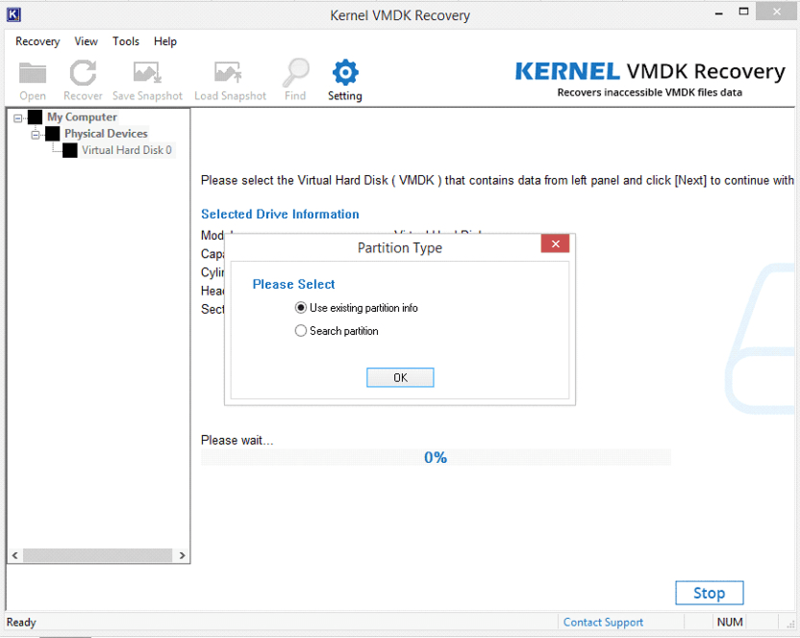 So, prefer using Kernel VMDK recovery to repair and open corrupt VMDK files.